Looking back at the last year, it’s easy to find reasons for pessimism. Dire warnings of severe impacts from climate change came out every few months, yet President Trump and his climate-denying appointees continued their relentless and perilous attacks on common-sense protections to limit carbon and methane pollution and protect the health of our families, communities and economies. Climate change is real, it’s already here, and it’s a problem that is going to get worse. Scientists, researchers and experts from around the globe and right here in Montana tell us that carbon pollution from burning fossil fuels is the main driver and an immediate response is essential. In the past two months alone, two reputable reports have warned of the significant dangers of continuing to burn fossil fuels. In October, the International Panel on Climate Change (IPCC) warned of impacts of temperatures rising 1.5 degrees Celsius above pre-industrial levels. That doesn’t sound like much, but Montana’s temperatures are expected to rise far more than the global average – as much as 10 degrees by the end of the century. This will profoundly impact everything from public health to national security to food production. And just last month, the Trump’s administration’s Fourth National Climate Assessment found that rising temperatures are leading to increased wildfires, reduced snowpack and limited water availability. All of this irreparably harms Montana’s leading economic drivers – agriculture, outdoor recreation and tourism. Montana’s 2017 drought and fires cost us billions of dollars. Future droughts and fires could easily result in disasters like California’s Paradise fire happening here. The alarming science and escalating costs haven’t stopped Trump and his fossil fuel cronies from waging an all-out war on the environment that sustains our communities and feeds our economy. Trump’s disgraced former EPA Administrator Scott Pruitt and his successor, coal lobbyist Andrew Wheeler, have sabotaged or outright repealed every program aimed at cutting climate-changing carbon pollution. They’ve replaced the forward-looking Clean Power Plan with a “Dirty Power Scam” that will keep our electricity industry stuck in the 19th century and cost all of us more money. They’ve rolled-back auto efficiency standards that would have saved us money at the gas pump. They’ve granted permission to oil and gas companies to waste public resources by flaring and venting methane that is easily captured. First, Montana cities and tribal governments are leading the way. Missoula adopted a roadmap to 100 percent renewable energy by 2025 and the plan is as achievable as it is ambitious. Bozeman, the Confederate Salish and Kootenai Tribes and more than 40 other Montana cities and businesses joined the We Are Still In campaign supporting the Paris Climate Accord. And Helena is developing a plan to comply with the Paris Accord goals. Second, Montana must embrace renewable energy. 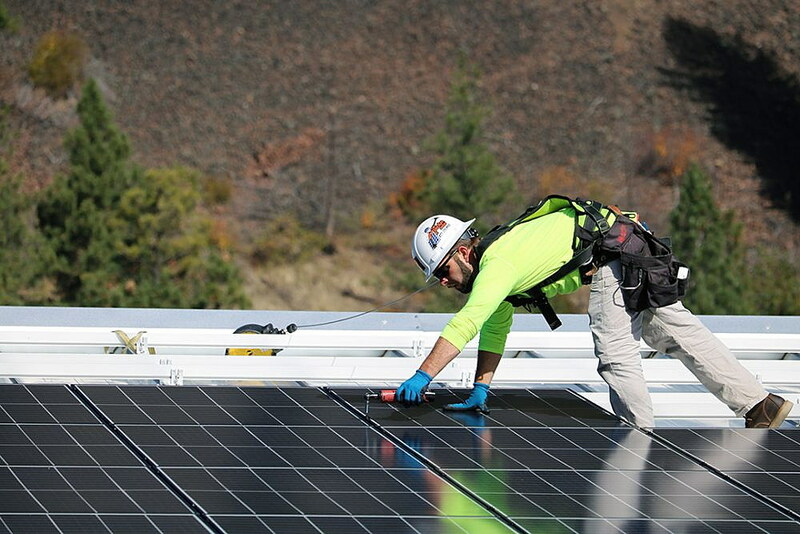 Montana is uniquely positioned to thrive in a clean energy economy. Customers who buy our electricity want clean energy, so let’s give it to them and create jobs here instead of in Wyoming. This year, Governor Steve Bullock took a critical step toward this goal by sponsoring a regional working group that developed the Renewables Development Action Plan. With his leadership, the region will continue to put that plan in motion in 2019. We must build off the successes in 2018 and make 2019 the year we turn the corner and take meaningful action on climate change. After all, our kids and future generations are counting on us. Anne Hedges is deputy director of the Montana Environmental Information Center.